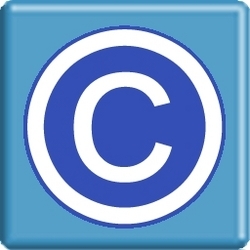 The Most Secure Copy Protection for eBooks and PDF Documents with DRM - CopySafe PDF provides the most secure protection for eBooks and PDF documents, copy protecting them from all copy and also preventing unauthorized distribution, with total control over access rights with immediate effect, even on documents that have already been distributed. CopySafe PDF provides the most secure solution to copy protect eBooks and PDF documents, protecting them from all methods of copy and also preventing unauthorized distribution. CopySafe PDF with DRM options enables total control over access rights with immediate effect on documents and user access, even on documents that have already been downloaded to the user’s computer. Protect PDF solutions have been around for years but because it’s distributed for use in generic PDF readers like Adobe Reader, the security for passwords and expiration can easily be thwarted and the media inside can be extracted, providing a most insecure option for mission critical data. In contrast CopySafe PDF utilizes it’s own proprietary reader enabling stronger encryption and unique security protocols that can never be thwarted. The CopySafe PDF Reader is the only application that can open and display a CopySafe document, and unlike Adobe Reader the source code is not available to the public for hackers to study and reverse engineer, thus ensuring that your protected PDF cannot be exploited. The free PDF Reader also uses CopySafe technology to provide protection from all methods of copy including Printscreen and screen capture software, and to prevent forwarding them onto others, the option of applying DRM can control who can open the document, who can print the document and even put a limit in how many times such access is given. The Digital Rights Management (DRM) applied to CopySafe PDF does not rely on tokens like other DRM solutions because tokens, no mater how sophisticated, can be forged and redistributed. Instead, CopySafe uses unique technology that identifies a user’s computer signature for rights assessment, which is much more secure as it cannot be exploited. ArtistScope DRM is also unique with regard to the control that authors can have over their documents and their customer base. With tokens such privileges are preset and cannot be varied during the life of the subscription, but with ArtistScope DRM those permissions are managed remotely, enabling an author to have total control. From any computer in the world, an author can log in and modify document and user access rights for immediate effect even to documents that have already been downloaded. With such total control an author can cancel a user’s subscription, suspend their access for breach of TOS, cancel or suspend a document pending review or update, change the list of users permitted to use a document, upgrade users to new groups for their next document level and so on. The document management for DRM validation service can be purchased for use on the author’s server or it can be rented as a ready-installed and hosted service from ArtistScope. Pricing for a hosted DRM Validation Service can cost as little as a few dollars per month. All types of documents can be copy protected by first converting to PDF. A universal Document Converter (UDC) is bundled with the CopySafe PDF Protector software that runs as a printer-driver making document conversion as simple as send to print, and then selecting UDC as the printer, for a new PDF document to be saved to a nominated location.